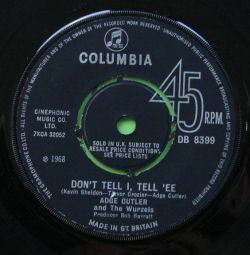 Although not written by him, Don't Tell I, Tell 'Ee seems to sum up the Adge Cutler laid-back attitude to life, and is a song forever be associated with Adge. 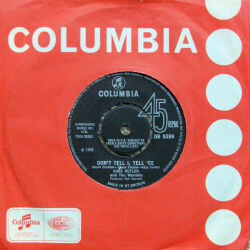 This was the band's fifth single on the Columbia label, issued in 1968 but not available on album until the 1974 compilation of the same name. 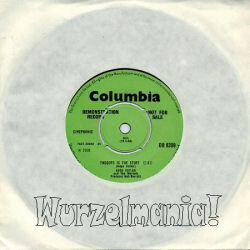 Again, the single-buying public failed to be impressed with the release and the single failed to chart. 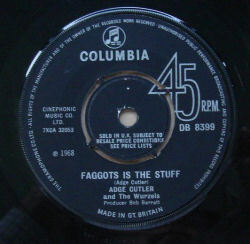 Faggots Is The Stuff was probably recorded at the same session as the Cutler of the West album at the Webbington Country Club.